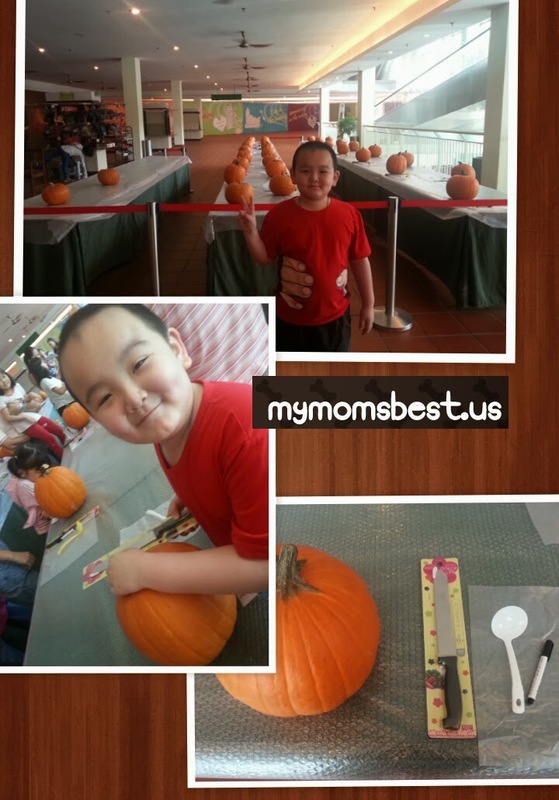 It is fun Saturday morning for son and me, yeah just mom and son day's out. I received the SMS that he's selected to be among thirty participants to take part. Well this morning we were early at the mall, they were six pumpkins left which means six participants didn't show up. It is more like adult doing the craving, children on hands on drawing the pumpkin. Below picture of my craving the pumpkin! The tools given are knife, white board marker, and scoop. Sad to say the white board marker not suitable for this contest, it is tough to draw on pumpkin. Other participants bring their tools to create beautiful pumpkins. Anyway I have fun with this contest, just half an hour given for pumpkin craving contest! Congrats to winners, though we didn't win but we have so much fun. Next time you can bring your own tools too. I can see it is really interesting and fun activity. 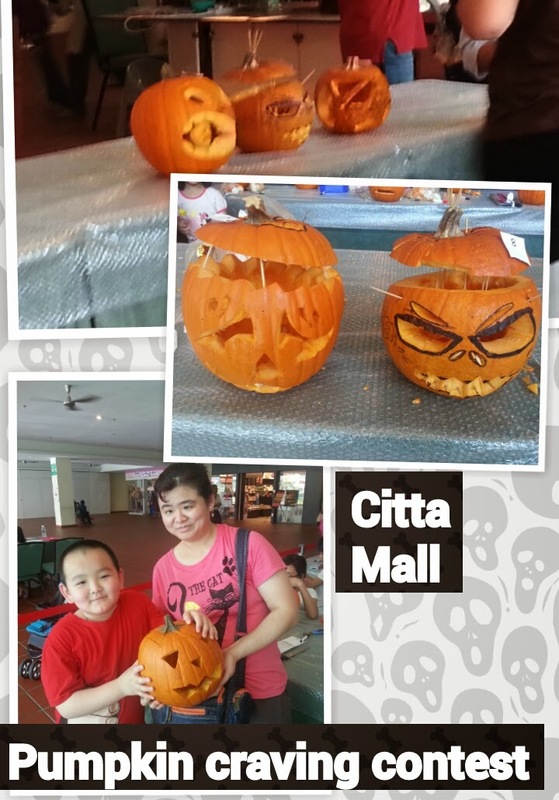 Sometimes 1 Utama Shopping Centre also have this activity. You can check their website or your children can join their membership too. When they have activities they will notify you. next time need check if dear's free to do the craving there, let him join instead of me lol. Super tired with craving.